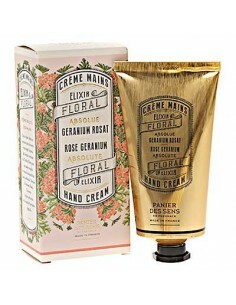 A lovely mini set of three hand creams: Lavender, Rose and Provence. Presented in a beautiful tin gift set. These adorable little tubes designed with fresh and floral decorations are easy to put into your hand bag or to take with you on your trip to have supple and beautiful hands at any time. Rich formula with shea butter and essential oils leaves the skin soft and supple. The products are not tested on animals. Traceability and quality: batch number ensures monitoring of products. Lavender: A aromatic floral timeless fragrance. This captivating scent is underlined with cedar wood and white musk to offer an elegant floral fragrance. Rose: Floral Rose - Symbol of beauty and feminity, velvety roses are the heart of this delicate fragrance. Sensual blend of white musk, cedarwoodand Lily of the valley for a breath of fresh air and modernity. Provence: Citrus Aromatic - Citrous fruits are the heart of this sparkling fragrance. Brightened by the radiant freshness of lemon, mandarin and plant extracts for a typical summery Provencal scent. With energising verbena essential oil. A universal light and daily cream rich in shea butter and grape seed oil that is known for its antioxidant properties. Verbena essential oil brings its energising and balancing properties into this lotion. The mild texture is suitable for body and hands. The skin will be soft and supple again with daily use. A tonic and revitalising sea fennel perfume for soft and fragrant skin. A delicate freshness sea fennel perfume, a sea-spray fragrance combined with the remarkable benefits of sea fennel and mineral salts. With provencal essential oils! Beautiful travel and gift set with refreshing Eau Fraîche and revitalising body lotion. A fresh balancing Provence Eau de Parfum with a playful and sparkling fragrance. The body lotion is rich in sweet almond oil, shea butter and essential oils that helps to nourish, protect and soften the skin. A fresh and relaxing lavender Eau de Parfum with a timeless, elegant and natural fragrance. A world of relaxation, wellness and tranquility combining fragrance and active plant ingredients. This relaxing lavender perfume refreshes, calms and rests the body and mind. With soothing provencal essential oils! This delicately perfumed cleansing gel is the essence of Provence with lemon, artemisia and cypress essential oils. Thanks to a blend of castor oil and shea butter, it softly cleanses the skin without disrupting its natural balance, for maximum comfort and softness every day. With soothing almond extracts. Olive and sweet almond oils are infused in a lightweight soothing formula for instant softness and velvet feel. 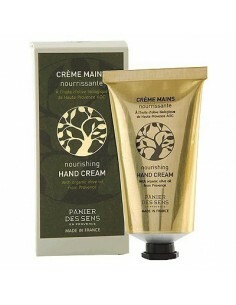 Skin is left satin-like, delicately fragranced with the gourmand scent of Provence almonds. With soothing almond extracts. Indulge in a decadent body cleanser with a gourmand scent. Cleanses and nourishes the skin in a single step. Easy to rinse, the soothing foam leaves silky-smooth skin. Tonic and stimulating Eau de Parfum of a fresh, captivating and sensual bouquet. The combination of both scent and essential oil from red thyme offers a feminine, fine and fruity fragrance to be applied all over the body after showering and through the day to freshen up yourself. With soothing almond extract. 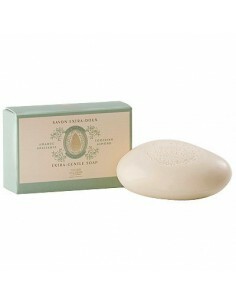 Rich in sweet almond extract, this vegetable soap helps the skin to regain its suppleness and softness day after day. The smooth lather will release a gourmand soothing scent on your skin.